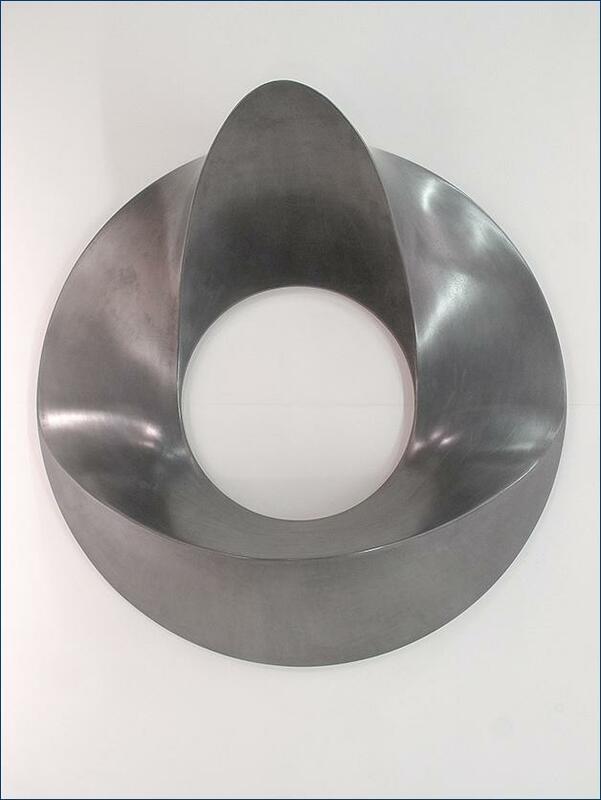 'Elliptical Form' was inspired by a old geometrical method to draw an ellipse, I transformed that into a three dimensional sculpture. It is very tactile and each position reveals a completely differing form. The surface is aluminium epoxy.